Today, there’s a race around the world – particularly in the Middle East and Asia – to put up the world’s tallest buildings. The United Arab Emirates, China, Malaysia and Taiwan are leading the pack. London’s pyramidal 105 storey SHARD by Renzo Piano has poked its way into the sky. TORONTO, home to nearly 2,000 high-rise buildings already, is rapidly adding to its collection. Marching across the cityscape, they’re everywhere it seems – from the farthest suburb to the city centre. About 140 new towers are presently under construction – some good, some bad. 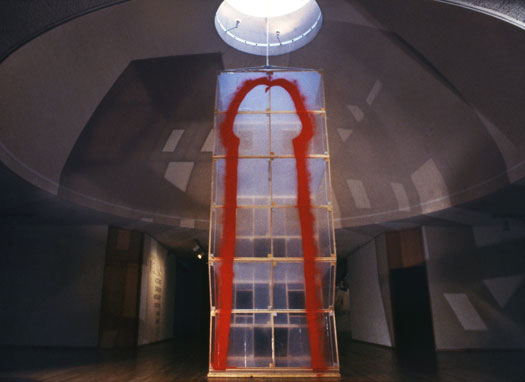 This entry was posted in Architecture and tagged Skyscraper machoism, Vito Acconci's 'High Rise' phallus sculpture. Bookmark the permalink.